I’m Interviewing With a Startup. What Should I Wear? Companies like Glassdoor allow employees to rate and comment on their employers, giving you an inside look at the company culture and what it’s really like to work there. Often, people will discuss dress codes and general office vibes. Similarly, the website of the company at which you’re interviewing may include photos of employees or the office environment, which can indicate the dress code. It’s simple, but no one does it. If you’re not sure what to wear, you can always pick up the phone and call the employer to ask. Most people will gladly give you advice on what to wear to the interview. Best of all? You can even sneak a few other questions about the company in there if you want. On a similar note, if you’re working with a recruiter, you can ask them what to wear. People often forget this, but if you’re working with the right recruiter, they will have your best interest at heart and will do their best to help you get hired. If most employees wear jeans to work, you do not want to come to your interview in a suit. While I often live by the motto “You can never be overdressed,” there are indeed situations where being overdressed can work against you. 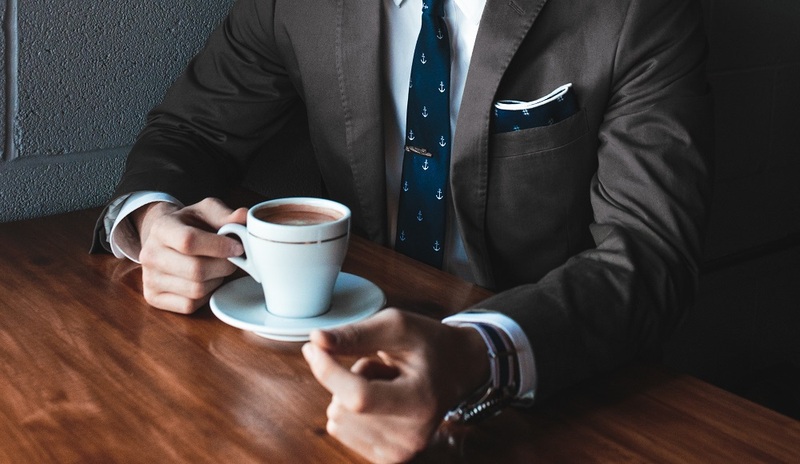 If you’re interviewing at a company known for a casual dress code and company culture, showing up in a suit will suggest you haven’t done your research. Instead, show that you understand the dress code, but step it up a notch for your interview. If the dress code allows jeans and a t-shirt, opt for something slightly more professional, like colored denim, a t-shirt, and a blazer. This look shows you are in tune with the culture but also take your interview seriously. I always suggest being a step above the dress code, but if you decide it would work in your best interest to come completely casual, you still need to make sure you look put together. There is a big difference between a plain, wrinkle free t-shirt with dark wash jeans and a dirty graphic t-shirt with ripped jeans. No matter how casual the dress code is, you do not want to look like you just rolled out of bed. You’re still interviewing for a job. When you’re wondering how to dress for your interview, remember that you always want to look polished and put together. Do some research on the company dress code and culture, and dress accordingly. Figuring out what to wear to an interview can be tricky, but if you follow these simple steps, you’ll be good to go!